Steamed. 85-100% Clear, Kiln Dried, Unselected Color. 6-12' Length. Custom Sizes Available. WEIGHT: 3.6 lbs per B.F.
WORKABILITY: Great Workability, stains, glues and finishes nicely. Wood Vendors custom manufactures s4s Dimension Walnut in sizes up to 11.25" wide. We also make custom walnut mouldings,panels and flooring. 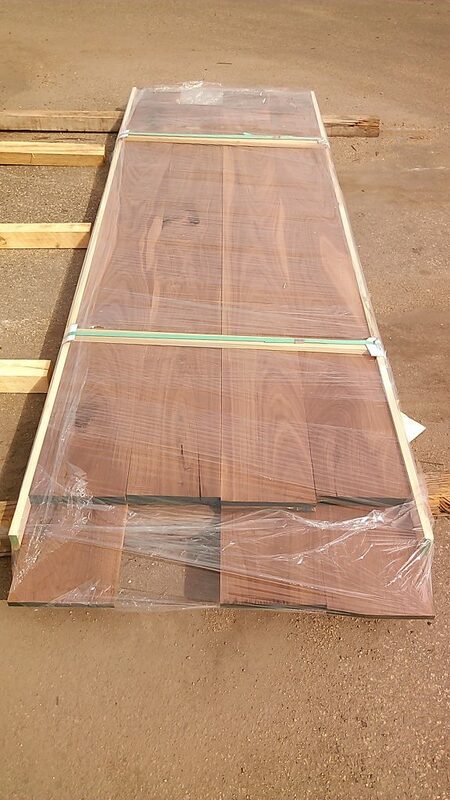 Rough or Surfaced Walnut Lumber is also available for prompt shipment. If you don't see a price for the size you need, please call us at 877.983.6367 for a custom quote.